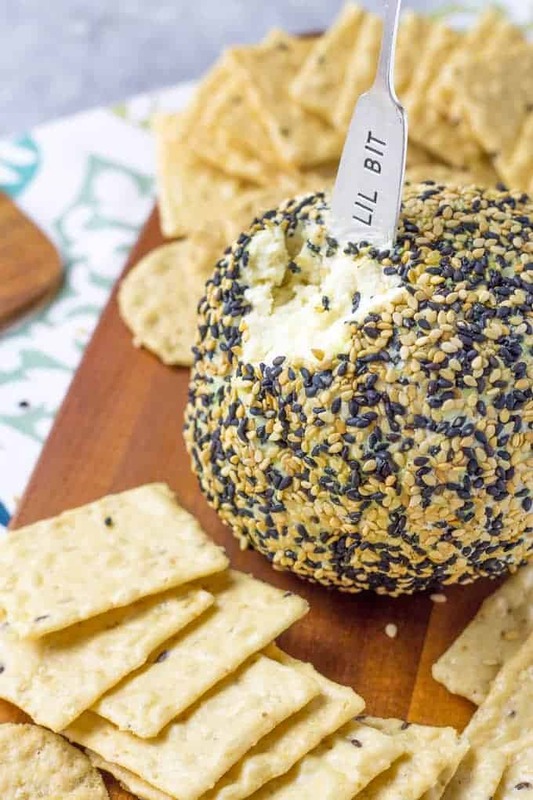 A Cheese Ball is a great appetizer to have at a party but why have a boring one? 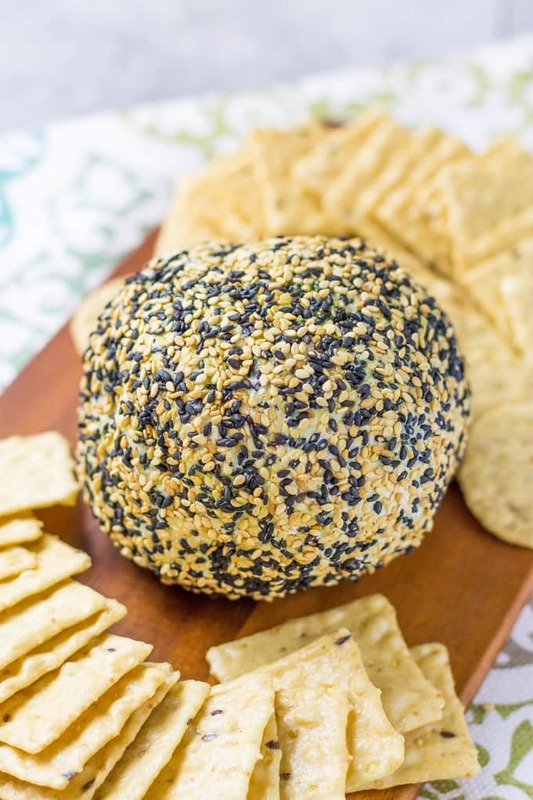 Check out my Wasabi Ginger Cheese Ball that is a spicy Asian version of a classic! It is no secret that I love cheese, especially cheese spreads. A batch of my pimento cheese spread is always in my refrigerator to satisfy any cheese and cracker cravings that may pop up unannounced. Much like guests! 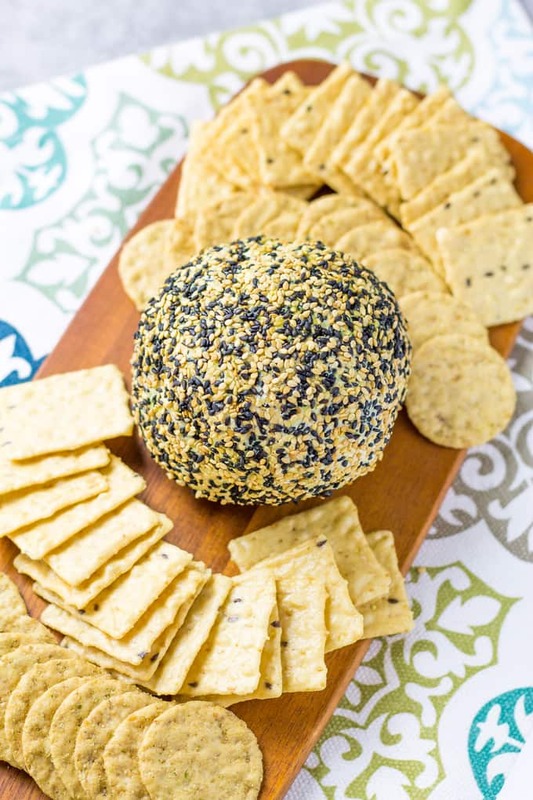 If you love cheese spreads like me, check out my Wasabi Ginger Cheese Ball with an Asian kick. Cheese balls are the perfect thing to bring to a party, besides yourself. If you are the type of person who doesn’t like to show up empty handed, then keep a cheese ball on hand at all times. The benefits of a cheese ball are numerous. Let me break them down for you! Reasons to make a cheese ball for a party! They require minimal ingredients and take only a few minutes to assemble. This leaves you plenty of time to get on with your busy life. There are limitless variations and flavor combinations. From savory to sweet, you can start with a spicy bacon and work your way to a cookie dough flavor in no time flat. All starting with the same base ingredient. What would we do without cream cheese? You can make it ahead of time and be prepared for any party or drop in guests! A cheese ball can last for up to a week in the refrigerator as long as no one eats it without your knowledge. This allows you the chance to make it on Tuesday for a weekend party. Talk about checking off your to-do list early! Due to the nature of cream cheese as the base, I would not recommend freezing a cheese ball. Cheese balls make great gifts. A cheese ball is a great gift to bring someone. I don’t know many people that don’t enjoy receiving gifts, let alone, food. The recipient can eat it, share it with friends that stop by, or regift it in true Seinfeld fashion. So now that I have mentioned all the benefits of a cheese ball, let’s talk about my Wasabi Ginger Cheese Ball. This little ball of cheesy goodness has a spicy secret! Creamy cheeses are mixed with Asian-inspired flavors like ginger, wasabi, ponzu, sesame seeds, and white pepper to make a spicy appetizer. Let me talk a little bit about the wasabi. I use a prepared wasabi sauce. You can use wasabi powder if you prefer, or if that is what you already have in your spice cabinet, but I prefer the prepared sauce for its ease and convenience. Just know that using the wasabi in powder form will be stronger than using the same quantity of sauce. 1 teaspoon of sauce does not equal 1 teaspoon wasabi powder. MOUTH BE WARNED! Ponzu, if you are wondering, is a citrus flavored sauce made from Mirin, rice wine vinegar, bonito flakes (from tuna), and seaweed. This mixture is simmered, strained, and a citrus like lemon or Yuzu is added. I prefer the ponzu with lime (because I am partial to margaritas) and use ponzu much like soy sauce. Ponzu Sauce is made by mixing soy sauce with ponzu sauce. I just really like the salty and tart sauce so I use it more than plain soy. One more shortcut I take with the Wasabi Ginger Cheese Ball is using minced ginger from a tube. Once I mix all the flavors together with the cheesy base, I brush the cheese ball with more of the prepared wasabi sauce. Another reason I use the prepared version over the powder. The prepared version creates a sticky surface for those tasty sesame seeds to cling to and create a pretty decorative covering. 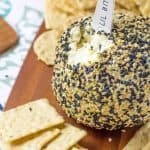 Those sesame seeds are not just pretty to look at or provide a nice texture contrast with their tiny crunchy coatings, they also provide a nutty flavor that mixes well with the others in the cheese ball. 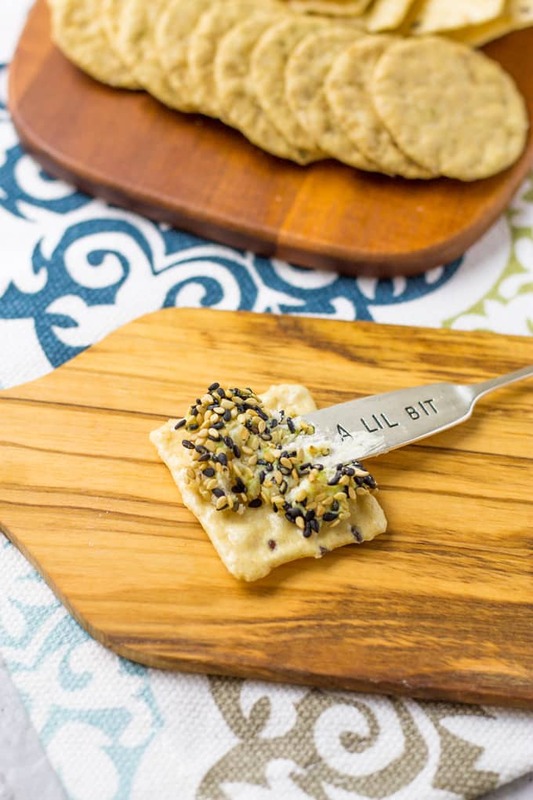 So now that I have mentioned all the amazing benefits of a cheese ball, and all the Asian flavors involved here, whip up a Wasabi Ginger Cheese Ball today! With a hand mixer (or stand mixer) cream together the cream cheese and mozzarella cheese until combined. Add the white pepper, ginger, 1 1/2 teaspoons wasabi sauce, and ponzu sauce. Mix together to incorporate fully. Chill in the fridge for at least 30 minutes. Overnight is best. When ready to serve, unwrap the cheese ball. Brush the cheese ball with prepared 1/2 teaspoon wasabi sauce. Roll in a mixture of black and white toasted sesame seeds. Thank you! 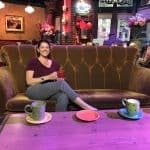 I would love to see some pictures!